Students at Liberty Elementary School in Northwest Baltimore are among the city’s highest performing despite the fact that more than 90 percent of them struggle with poverty. Principal Joe Manko can’t say exactly why that is – but he has some hunches. The school’s lean administration lets him shift hundreds of thousands of dollars from his office to the classroom. The heavy presence of parent volunteers, reading specialists and others in his school, allowing for small-group instruction and extra attention to each child, doesn’t hurt either. Then there’s the fact that the school has purchased 300 iPads and licenses for several highly regarded online educational programs. Those computers and programs provide individualized instruction during the school day as well as enriching after-school activities. But when students leave the building, most return to homes where Internet access is either lacking or inadequate. To fill what Manko calls that “technology vacuum,” he wants the school to help families tap resources that Internet service provider Comcast makes available to low-income families. Comcast Internet Essentials offers high-speed Internet access for about $10 a month and offers computers to low-income customers for about $150. But the program only reaches one family at a time, and even the modest amount Comcast charges is more than some of Manko’s families can afford. Manko wants to raise enough funds to bridge the technology gap for a pilot group of about 30 families at first. Those families will pledge to manage and use the technology responsibly and take a “digital citizenship” class, and the students will have to meet an attendance requirement. Will providing high-speed Internet access at home improve students’ academic performance? Manko isn’t sure but says it’s worth finding out. Liberty already boasts unusually robust technology offerings for a school of its size, such as DreamBox for math and Raz-Kids for reading. Manko plans to monitor how much students are using those programs at home and see whether the increased usage translates into higher test scores and better grades. 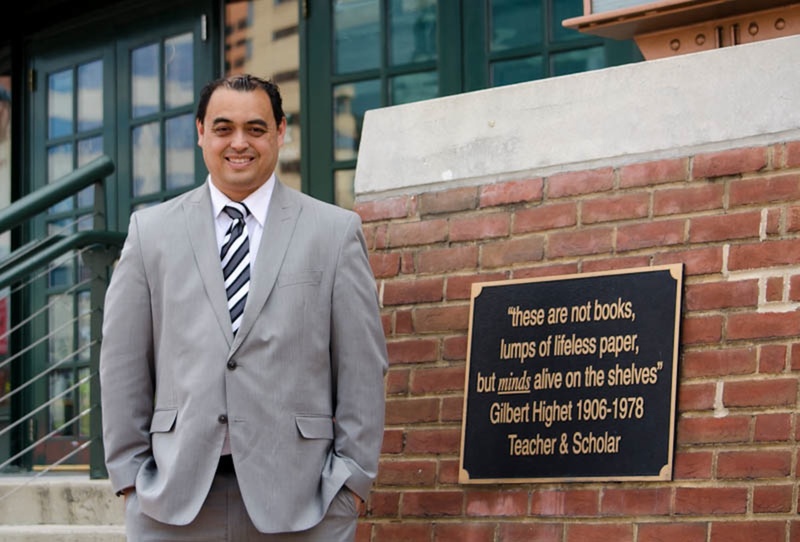 Manko, a Southern California native who lives in Patterson Park, has made a point of forging connections between the school and its surrounding neighborhood. Liberty is home to a parent-run food pantry and an employment skills center, and has taken over operation of the recreation center next door, which is maintained and staffed by community members. To Manko, connecting families with technology is akin to connecting them with resources like food and recreation; it has become a necessity for success.